Never in my life did I dream of becoming a Fashion Stylist. Yes, I love clothes but I can't even dress myself easily at times. In the past, I used to consult one of my friends who is a legitimate fashion stylist for some tips on how to dress up for certain occasions. But now, perhaps I can say that I can put on together a good ensemble confidently without having to ask for anyone's opinion. 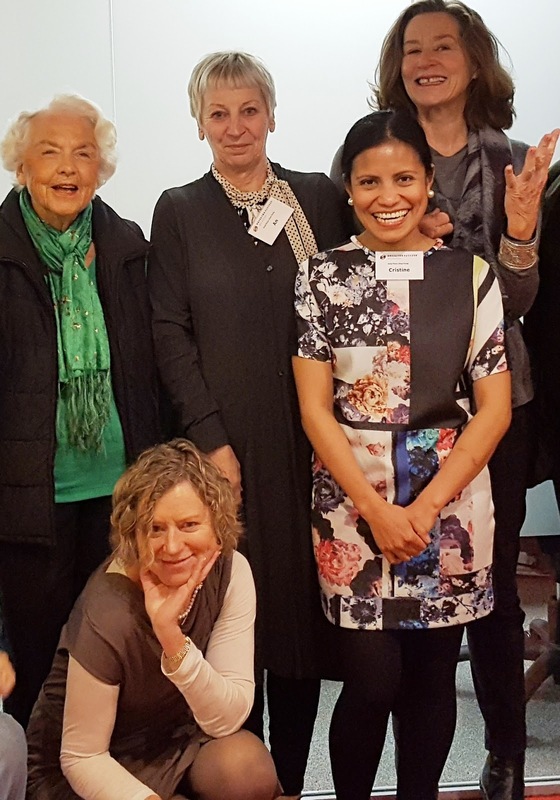 It's all because of Dress For Success (DFS), a non-profit organisation with a mission to "promote the economic independence of disadvantaged women by providing professional attire, a network of support and the career development tools to help women thrive in work and life". I found DFS through Volunteer Wellington in March when I was seeking for volunteer work. There were only three words from the advertisement that convinced me to volunteer for them: Dress, Success, Women. I knew that this was something that I wanted to do. I submitted my CV and a cover letter online and almost immediately, I received a phone call for an interview. That was my first ever interview in Wellington and it was all very casual. It was more like getting to know each other than anything. I was hired right there and then and was asked to go back for induction and eventually for training. I first trained as a clothing manager. My role included checking donated clothes for any stains or damages and then sorting them into different groups (client, sales and donation to another charity). I never thought that doing such thing can be both so entertaining and therapeutic. 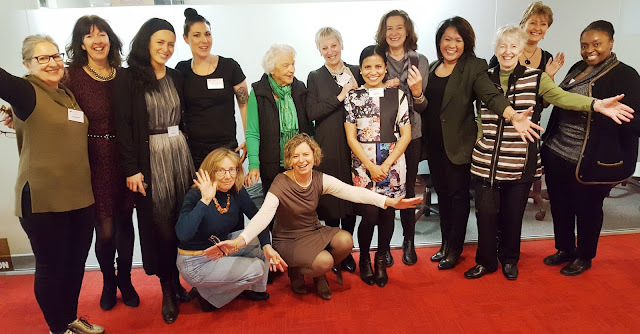 I must say that women in Wellington are very generous and they (based on what they donate) have genuine desire to help other women. The amount of donated clothes, shoes and accessories that we sort can be so overwhelming sometimes. We get all sorts of stuff. Most of them are obviously used but some are new (with tags on). We get a number of designer clothes too. There are some occasions however, when we get stuff that has been very well loved, in which case, we pass them on to another charity. When I've gained enough knowledge and confidence, I trained to be a stylist. I was skeptical at first because I had zero styling experience. I never had to dress anyone before other than myself, so I wasn't sure if I could do the job. But then I realised that perhaps I would never get another opportunity to be a stylist again, so when people started asking if I was going to train as a stylist, I just said yes. As part of our stylist training, we had to learn how to dress a mannequin. Believe me, dressing a mannequin can be quite intimidating. First of all, they're much taller than me (haha). And of course they have that perfect body. Not to mention that they have removable body parts. I have never experienced dismantling a mannequin before and although seemingly simple, I struggled a lot. It was even more challenging to assemble it with clothes on. But I got there in the end with the help of my fellow volunteers. It was such a fun thing to do. And before I could style any client for real, I had to do a few mannequin dressings, two styling observations and two supervised styling sessions. It was only after then that I became a "stylist". I will never forget my first official styling session with a very delightful lady. She told me that although she was excited, she was also nervous because she never had this experience before. She apparently couldn't recall the last time she actually shopped for clothes and therefore was excited to try on some. She said, "this is going to be fun", and I knew then that this was going to be a positive experience for both of us. After discussing her clothing preferences (trousers), I took her in the dressing room and asked if she was willing to try on any dresses at all. She said she hasn't worn a dress in years but was up for the challenge. I gave her four dresses to try on. I stood outside the dressing room and instructed her to use the whole body mirror outside when she was ready. All of a sudden I heard her say with so much glee, "Wow, I love it". That was only the first dress she tried on. When she came out to show me the dress, she was twirling. We both laughed. I could tell that she was happy with the dress but I wasn't going to let her settle with it. I asked politely if she could try the other dresses as well just in case they suited her better. She happily obliged and she loved them all. Unfortunately, I could only provide her with one dress at that time as it was her first dressing. In the end, she chose a monochrome slim-cut dress. She looked absolutely fabulous in it. The look on her face was priceless. She couldn't stop giggling. I gave her a nice jacket to go with the dress, a shoulder bag and a pair of high-heeled shoes. She couldn't stop thanking me afterwards. She told me that this was one of the best experiences she ever had and that she thoroughly enjoyed it. She gave me a hug and thanked me over and over again. She actually said while looking at herself in the mirror, that she was more confident and was absolutely ready for her job interview. What hit me the most was when she said that she would definitely pick herself up from that time on and would never look back. She left the office in her Dress For Success outfit. No, she didn't have an interview that day. That's just how confident she was after our session. Oh, I forgot to mention that she came to DFS in baggy sweatshirt, jeans and trainers. I was proud of myself that day because I knew that somehow, despite being new, I was able to do the job right. But most importantly, I knew that I made a difference in someone's life. Volunteering for Dress For Success has been such as rewarding experience. For me, it was not about putting an outfit together successfully and making my clients look good. It was actually making them feel good about themselves. Every client that I have dressed so far left our door with much more than clothing. They left feeling special and with much more confidence, hope and determination to succeed. As Nancy Lublin (founder of DFS Worldwide) said, "only about 25% of the Dress for Success programme is about providing clothes, the other 75% is about building self-confidence". And to be honest, I am also more confident now knowing that I can dress someone for success. Behind my success as a clothing manager and a stylist at Dress for Success were the fashionable ladies that I had the pleasure to work with. It was so amazing to be surrounded by women who are passionate in helping every woman succeed. I am beyond grateful for the opportunity to have worked in an organisation, where women empower each other to do better in life. So, if you were wondering what I've been been up to in the last seven months, here you go. I was doing something really amazing and valuable. I left Dress for Success on Thursday with another feather in my cap, and I will forever be grateful to the organisation for all the lessons that I have learned, for all the skills the I have gained and for all the friends that I have made. I hope that I will be able to continue volunteering for DFS in London. The train ride to Porirua for our Whitireia Park walk completed my public transportation experience in Wellington, and I have my friend E to thank for that. It was indeed a very pleasant 20-minute journey from the city and very cheap as well (NZ$11.50 return). Not a bad choice for mode of transport to get in and out of the city in my opinion. 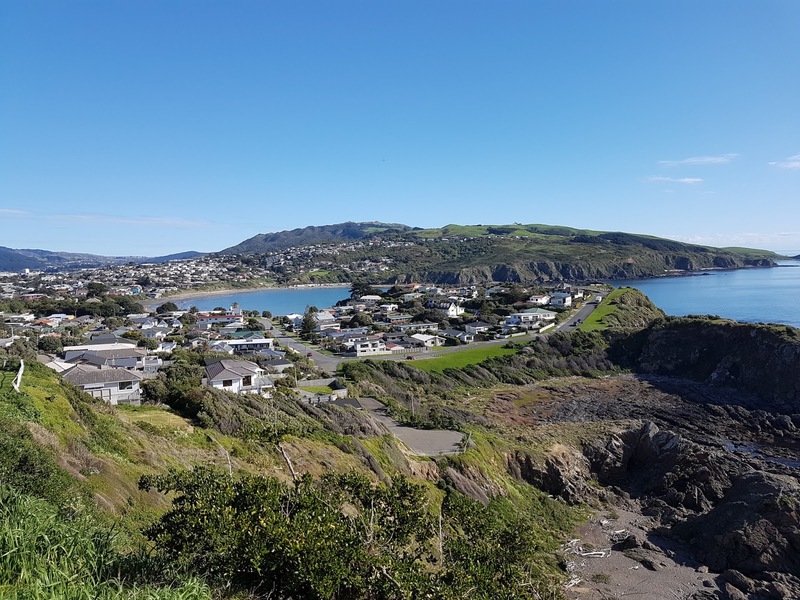 From Porirua station, we took the bus (220) to Titahi Bay where we had lunch first before we commenced our walk. After that, we walked all the way to the end of the beach. Unfortunately, there was no exit from there so we had to go back up the hill to continue with our walk. On our ascent to Stuart Park, we were rewarded with beautiful views. The track was paved with small rocks scattered in some areas and it was quite steep, so it took a little bit of an effort to climb up. This part of the walkway provided a good view of the Mana island though. We walked all the way to the "Sewer Outfall", where we were greeted by a health warning because the water in that area is apparently not safe. It is, however a good spot as you can see some parts of the South island from there. 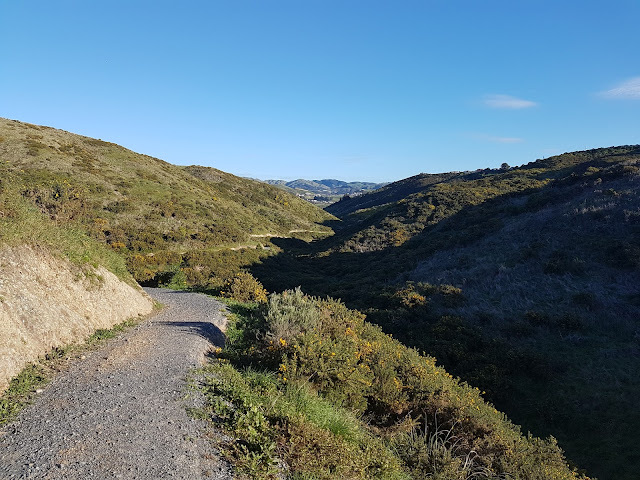 We decided not to go farther than the Sewer Outfall because we were not sure if there was a way out, so we retraced our steps and continued our journey to Whitireia Park. We followed the paved track until we reached the main road. We passed through a couple of parks here. From there, we took Pikareri Road which we missed the first time because the signage was not very clear. This led us to Tiketi Road and eventually to South Beach Road. It turned out that we were not even halfway through our walk yet at this point. Feeling defeated for not taking the risk of walking along the cliffs, we had no choice but to take the less steep route towards Transmitter Street. This was much easier as the road was wider and sealed. Then we were finally on the last part of our walk from Onehunga Bay to Onepoto Bay. The track was narrower on this side and mostly sand and gravel. The sun was still high at that time and it was beautiful how it shined through perfectly aligned trees. When we arrived at Onepoto Bay, we saw a couple of black swans. They were beautiful. We finally reached the bus stop just after 6pm, but we still had to wait for at least 20 minutes for the bus to arrive. Oh well. This was the longest walk I've done so far and I am grateful to have done it with my friend E.
There is no doubt that I love Chinese food. I have been to numerous Chinese restaurants over the years and although I often get disappointed with the service, this hasn't stopped me from indulging myself with some cholesterol-worthy food. One thing that I have always wished for though, is to find a Chinese restaurant that has everything- amazing food, top-notch service and warm ambience. Sadly, none of the Chinese restaurants that I have been to in the past had all three. And then I came to Wellington and was introduced to the world of Yum cha(r). Of course I've had dim sum before, but I didn't know that it is also called Yum cha. As far as I can remember, I never heard anyone saying, "I'm going for Yum cha". It has always been, "I'm going for dim sum". But however you want to call it, it's still one of my favourite meals. Basically with Yum cha, the staff go around with a tray of different dishes and you just take what you want. They write every dish you take on a piece of paper and you take that with you to the till when you pay. Most, if not all Chinese restaurants that I have seen in Wellington serve Yum cha from 11am to 230pm. To be honest, I have only been to five Chinese restaurants in Wellington. This is because I have been loyal to Majestic Cuisine in Courtenay Place since that day when I ate half of a roast duck and a massive plate of rice on my own. I love Majestic Cuisine not only because they serve really, really good food but more so because their staff exceeded all my expectations. They are very friendly, helpful and all smiles. I have been to Majestic Cuisine more than five times now and I have never encountered any form of rudeness from the staff- one thing that I frequently experienced in the past. This makes Majestic Cuisine the best Chinese restaurant that I have ever been to and I will leave it at that. - I should always have roast duck, always. At Majestic, their roast duck is divine- crispy skin, soft duck meat and not too oily. Easily my favourite. - Fresh, tender and very tasty. It never fails. Eirenne's favourite. - The only vegetable on our table. Cooked to perfect crunchiness and seasoned very well. A personal favourite. - Eirenne said she has tried chicken feet before but didn't like it. When she tried it again at Majestic, she absolutely loved it and now chicken feet has become one of our regular dishes. - Darren's favourite. We have to have Custard Bun no matter how full we are. You really can't miss this worthy carbohydrates. - A recent discovery. Crunchy cartilage in mild chilli sauce. Reminds me of "pulutan". - Crispy, tender and flavourful. My kind of calamari. - I can easily say that this is the best Buchi ever. I wondered whether they were deep fried or not because there was not a trace of oil when they were served. Crispy and oh so delicious. And whether it's just me and Eirenne or with four other friends, we always end up having more than ten dishes on our table. Majestic Cuisine is my happy place and with less than NZ$30 each trip, I wouldn't mind going back for more. I'm not sure if I'll ever find a Majestic Cuisine in London. As far as I can remember, we only had three really nice days in September. Luckily, one of them was when we visited Somes Island. It was actually the first time in spring that I walked around without wearing a thick coat, so I was the happiest. 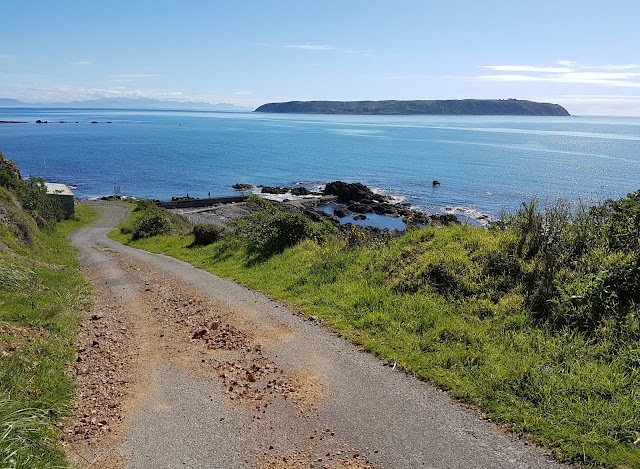 Somes island sits in the middle of the beautiful Wellington harbour and is accessible by East and West Ferry from Queen's Wharf in just 20 minutes. It used to be a quarantine station but is now a scientific reserve. And then there was the giant dead Weta. According to the Ranger, the insect died two weeks before our visit. As we had to catch the ferry back to the city at 1500, we planned to take the easy hour-loop to be on the safe side. 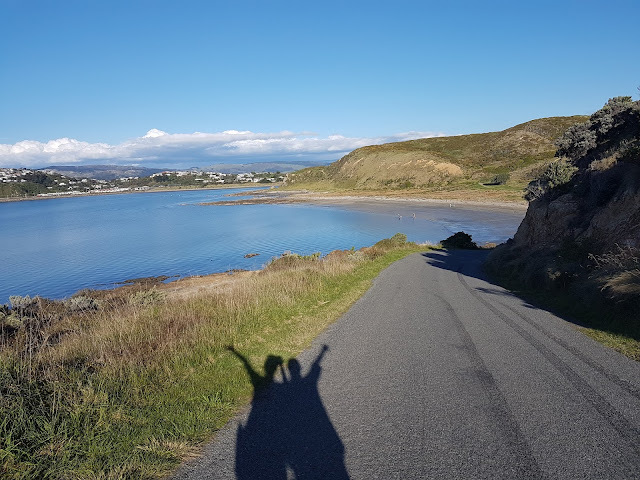 Somes island has beautiful walking trails and therefore easy to walk around. Even the track uphill is not challenging at all so even if you think you are unfit, you can probably easily do the hour-loop. A NZ$22 trip to Somes island is absolutely worth it as it provides a stunning 360-degree views of the Wellington harbour and its surrounding areas. I am glad that we went to explore Somes island on a really beautiful day. The sky, although with some scattered white clouds was so blue and the sea water was changing colour from solid blue to greenish-blue. Two hours was certainly enough for us to enjoy Somes island. That was basically walking at our own pace and enjoying the view as much as we could. We even stopped for a quick snack. Still, we arrived at the ferry station at least half an hour before departure. The view towards the city was beautiful. I could see our flat from the boat and I couldn't help but be a bit emotional. I whispered to myself how lucky I am to have been given the chance to live next to a city landmark and in an amazing neighbourhood. The first day of spring looked promising with blue skies, white clouds and mild to moderate breeze, so we decided to explore the Eastern Walkway as apparently it is short and easy and technically still within the city. From Courtenay Place we hopped on Bus 11 to Seatoun and got off in Seatoun Park. From there we followed the signpost to Pass of Branda and then to Breaker Bay. Man, this is one of the most beautiful places I have seen in Wellington. We walked down to the beach and made our way to Point Dorset. We knew that it is quite a distance to walk to and from Point Dorset but we just had to do it. The weather was good anyway and we both love walking so it would have been a shame if we didn't do it. And I am glad that we did because I finally found what I have been looking for. Almost half-way through the beach walk is the hole in the rock which is one of those things that I needed to see. I missed it the first time I went to Breaker Bay so I was so happy to see it up close and personal this time. After more or less than half an hour taking photos of and with the hole in the rock, we continued our walk to Point Dorset. At one point, I got lost in the beautiful sound of the crashing waves that I forgot I was walking too close to the water. A big wave came rushing towards me and I panicked. I ran to Eirenne screaming. Haha. The Point Dorset area is more of pebbles and shells than sand. This is where we found some beautiful Paua shells. This is also where Cookie (Eirenne's beloved hedgehog stuffed toy) almost got blown into the sea. Luckily, we caught it just in time. After that terrifying experience of almost losing Cookie, we walked back to Breaker Bay Road towards Tarakena Bay. Here, we saw the warning sign "Penguins Crossing" because apparently, little blue penguins live here. Unfortunately, we didn't see any at that time, but I read it somewhere that they are more likely to be seen in the evening. Then we climbed up the hill to Ataturk Memorial. This part of the Eastern Walkway is well-paved with a combination of equally distributed gravel, concrete (or asphalt) pathways and wooden steps. By this time, we would have been walking close to three hours, longer than the recommended walking time for the entire loop which is just two hours. This is normal for us because when we walk, we take time to admire the magnificent views and capture every moment of it. The Ataturk Memorial to honour Mustafa Kemal Ataturk, the first leader of the Republic of Turkey. The view from the top of the hill was breathtaking. The mountain ridges, the cove, the Ataturk Memorial from afar, the sea and the winding road - just really awesome. We could even see the Pencarrow lighthouse from a distance. After almost an hour of walking in the open, the route led us into the bush. The track here is quite irregular but remains easy. We walked under almost naked trees and on dried pine needles. A bag of crisps and a non-stop chatting later, we finally reached the Beacon Hill exit. We walked back to Seatoun Park where J kindly picked us up. It was indeed another fun and unforgettable walk with my adventure buddy, who also took some of the photos above. Photo taken by a stranger from Somalia who claimed to be a professional photographer.